In this highly politicized and polarized age, you probably find yourself implored daily to call your representative, sign an online protest, or even go to your nearest city hall or airport in order to protest the latest outrage. But with so much noise out there, it’s easy to wonder whether your voice is actually being heard. So if you’re starting to grow jaded about the power of your own online “slacktivism,” perhaps you’ll be interested in this cause, which seems just obscure enough that your own mild engagement will maybe effect some actual change. When you hear they might do your show without you. #WTF !?!? For those who need a little background: Discovery channel is looking to bring back its old series Cash Cab, a game show in which random taxi passengers would be asked impromptu questions for the chance to unexpectedly win hundreds of dollars, or humiliate themselves on national television. 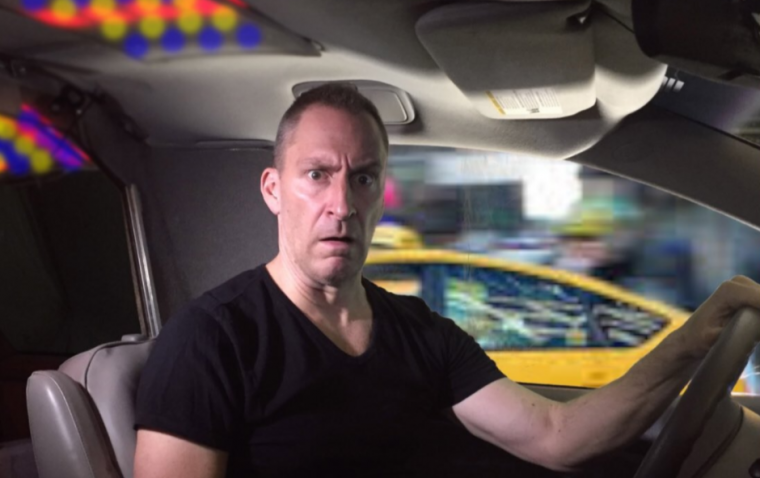 The show was hosted by Ben Bailey, a comedian and licensed taxi cab driver who would ask contestants questions as he drove them to their destination. Considering that Bailey received six Daytime Emmy nominations and three wins for his work behind the wheel, it would seem only natural for Discovery to bring him back for the new show. Yet according to reports, Discovery is planning to use a team of guest hosts to perform the cab-driving/question-asking duties—a development which has rightly enraged Ben Bailey, along with nearly 10,000 Twitter users (so far) who have retweeted the host’s plea for his old job. So please follow our lead and retweet Bailey’s very reasonable request. This is one pet cause that could really use your support, as it currently has about 3,224,000 fewer supporters than some teenager’s quixotic campaign to get free Wendy’s chicken nuggets for a year.